I seriously can’t believe it’s Black Friday already! And Christmas is right around the corner, say what??! I feel like it was just July like 5 seconds ago. 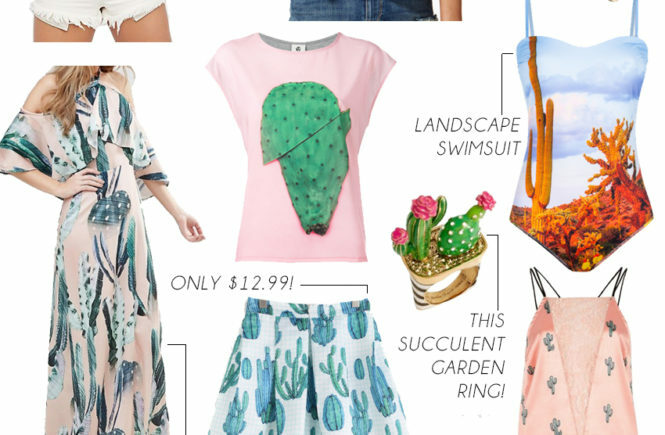 Anyway, for those of you who prefer to shop online from your couch (or bed!) 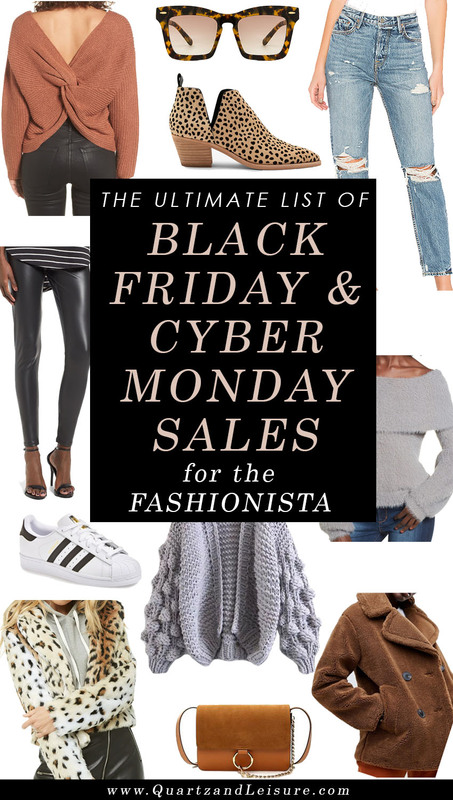 and not have to suffer through the madness of a doorbuster deal, I’ve made a complete list of all the websites and stores having sales this weekend, from Black Friday through Cyber Monday. I’ve also starred the ones I feel have the best value for your money (and time!) AND the sales that rarely ever happen so check ’em out! Ann Taylor: 50% off everything with code CYBER2018. Valid 11/25- 11/28. *Anthropologie: 30% off everything, in stores & online + free shipping for everyone! *ASOS: 25% off everything with code EPIC25. Valid 11/22-11/27. Here are some of my top picks. They have a great selection of faux furs, too! BB Dakota: Take 50% off Fall 2018 Black Styles starting Friday, 11/23. Starting Monday, 11/26 shop Fall 2018 Outerwear at 50% off. Use code THANKS50 at checkout for both. 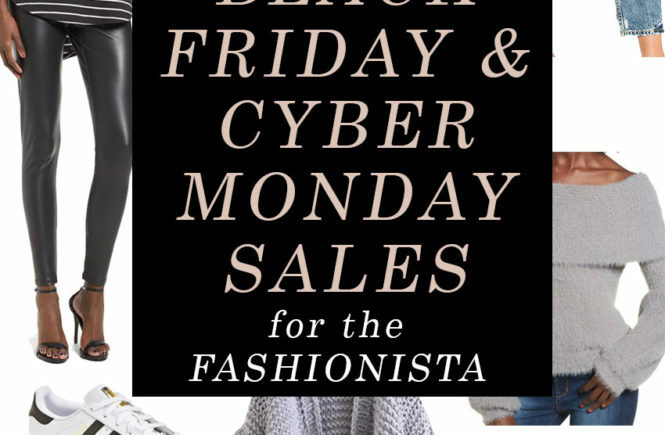 *Banana Republic: 50% off everything for Cyber Monday! Barney’s Warehouse: Spend up to $299 take 30% off, Spend $300-$499 take 40% off, Spend $50+ take 50% off. *Bloomingdale’s: Designer handbag sale: Save 30% on select styles of Chloe, Burberry, Longchamp, Coach, Rebecca Minkoff + more! See all sale bags HERE. Boden: 30% off plus free shipping & returns over $49 with code V4N9. Ends midnight 11/26. BooHoo: 60% off everything including sale items. Ends 11/26. Charlotte Russe: 40% off everything, online only! Chic Wish: Up to 50% off, plus an extra $10 off $60 (code: BF10), $25 off $120 (BF20), extra $35 off $180 (BF30). Dermstore: Save up to 30% off select brands with code: WEEKEND. DKNY: Take 30% off your purchase with code YESPLEASE. Ends 11/28. Desenio: 35% off the entire site, starting 11/23. Dynamite Clothing: 40% off everything. Ends 11/26. *Express: Get 50% off everything and free shipping! I love that their jeans range in sizes from 00 to 18 and are shown on different sized models! Etsy: Up to 60% off in the Cyber Week sales event on Etsy.com and in app! Free People: Enjoy 50% off select styles, and take an additional 30% off all sale styles. French Connection: 50% off sitewide & online, plus free shipping & returns. No code needed. H&M: Entire site is 30% off plus free shipping with code 3238. Plus, take an extra 25% off sale items. Intermix: Get $50 off every $250 you spend through 11/25. JC Penney: Shop the Ultimate Black Friday Sale, no code needed! Free shipping over $49. Joe’s Jeans: Up to 30% off select items with code: CYBERMONDAY. Joybird: 30% off everything, 35% off if you spent $4,499+, no code needed. LOFT: 50% off your entire purchase plus free shipping with code CYBER. Luisaviaroma: Extra 20% off sale items with code RS1120. Ends 11/27. Lulu & Georgia: Take 25% off everything with code BESTEVER. Macy’s: 20% Black Friday preview with code SCORE. Valid 11/15-11/20. Neiman Marcus: Designer Sale, up to 50% off. Take an extra 25% off sale. Cyber Funday beauty gift free with purchase of beauty. *Neiman Marcus Last Call: Shop 40-80% off everything on Cyber Monday! Valid 11/25-11/26. Take an extra 10% off on Cyber Monday timed shopping spree! Net-a-Porter: Select styles up to 50% off. Take an additional 15% off sale styles with code CYBER15. Valid 11/26 only. Nordstrom Rack: Receive an extra 30% off clearance items. Valid 11/21-11/26. Plus get up to 50% off DYSON vacuums! Old Navy: Take 40% everything, no exclusions. Pacsun: Cyber Monday, 50% off sitewide! Rag & Bone: Save 25% sitewide plus free shipping with code TAKE25. Ends 11/26. Reiss: 15% off full price items. Ends 11/26. *REVOLVE: Up to 65% off ‘Brands We Love’ featuring Tularosa, Majorelle, NBD, Lovers & Friends, House of Harlow, Raye. Plus, take an extra 50% off new markdowns. River Island: Take 20% off everything when you spend $150 or more. Romwe: Biggest ever online sale with prices up to 95% off! Saks Off Fifth: Extra 50% off. Valid 11/21. 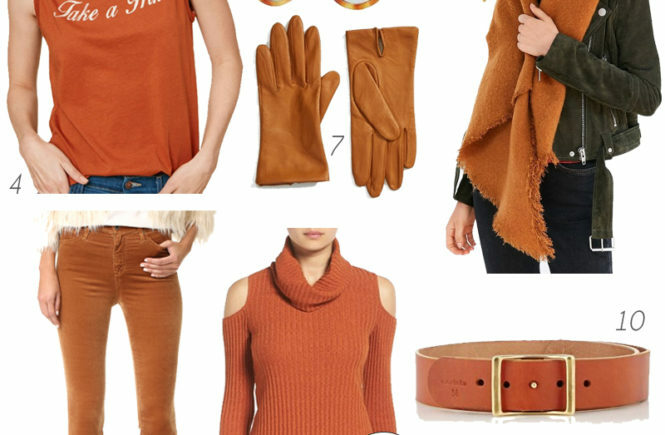 *Shopbop: Up to 25% off full price items, up to 75% off Sale items. Plus, 15% off orders of $200+, 20% off orders of $500+, and 25% off orders of $800+ with code MORE18. Shutterfly: Take 50% off orders of $99+, take 40% off order of $49+, 30% off orders under $49 wit code GREATDEALS. It’s a great time to order your holiday cards and photo books at a huge discount! Sole Society: Thankful Sale: Up To 60% Off Select Shoes, Bags & Apparel. Valid 11/21-11/22. *Steve Madden: Take 30% off plus free shipping with code: CYBER. Stuart Weitzman: Up to 40% off select styles & colors. Swarovski: 25% off everything. Ends 11/26. TJ Maxx: While TJ Maxx doesn’t specifically have any Black Friday sales, it’s a well kept secret that TJ Maxx carries designer bags like Gucci, Chloe, Balenciaga, Lanvin and many more for up to 50% off retail! The Outnet: Take an extra 25% off Sale lines with code BLACKFRIDAY. *Topshop: Up to 50% off selected lines (includes coats, jeans, tops, partywear, and shoes), with free standard worldwide delivery plus stackable 10% student discount. Also take 30% off Ivy Park. *Urban Outfitters: Cyber Monday receive tiered offers: $50 off $150+, $25 off $100, $10 off $50. In final hours take 25% off site wide. Valid 11/26. VICI: 30% off the entire site starting midnight 11/22-11/25. Victoria’s Secret: 20% off $125. Plus free shipping on $30 with codes SAVE20 and SHIP 30. Walmart: Tons of Black Friday deals on TVs, electronics, home appliances, and more! See all current Black Friday deals HERE. Wildfox: Take 40% off sitewide with code HUGE. Wintersilks: Take 50% off your entire order and free shipping with code BNSQ. If you found this post helpful, please show some love and share it on your social channels by using the buttons to the left!